“We know the difficulty of the next season and for sure we want to avoid the Mourinho season with Chelsea. Personally, I want to try to avoid the last two seasons. Because two coaches were sacked, from Chelsea and then from Leicester after they won the league. For sure I want to avoid that. And we are working very well. I hope to find the best solution in the future. We have a lot of young players and then if it’s necessary we have to try to improve these players.” he is quoted by Sky Sports News. Chelsea started their first pre-season friendly outdoors in fine fashion with a comfortable 3-0 win over arch-rivals Arsenal, but their defence has since fallen apart with a 3-2 defeat to Bayern Munich followed by another 2-1 loss to Inter Milan. 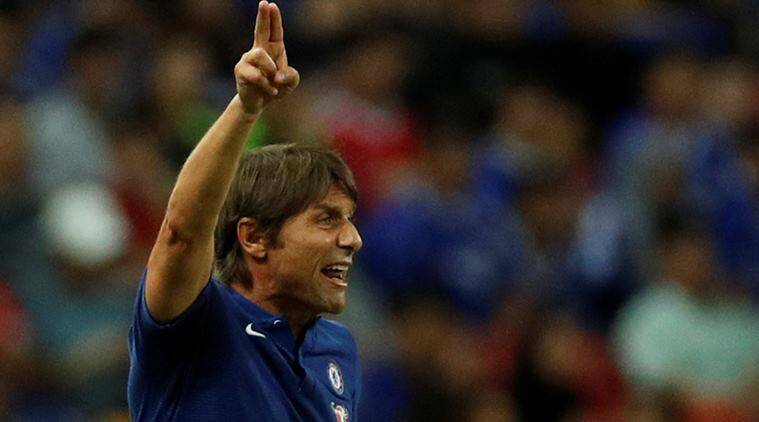 The Blues take on the Gunners in the Community Shield next weekend, and Conte will hope to have his defence organised as they are likely to face a much stronger side that they faced in Beijing earlier this month. This entry was posted in Chelsea Fan's Blog, Chelsea News and tagged Andre Schurrle, Ashley Cole, Chelsea, Demba Ba, Edinson Cavani, Everton. Bookmark the permalink.